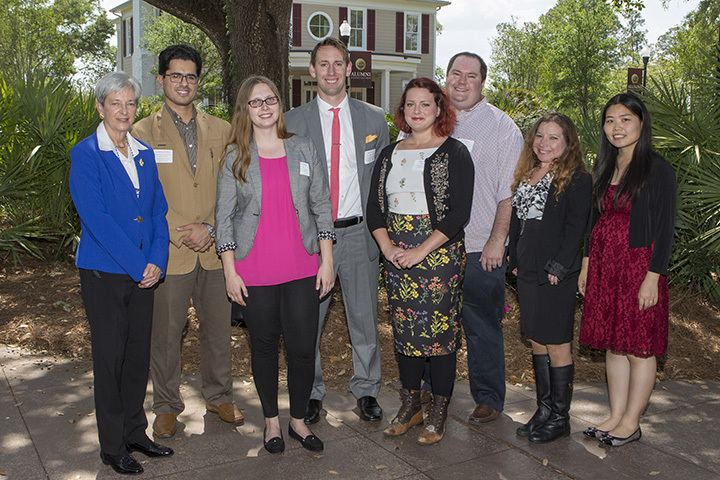 Dozens of Florida State University graduate students filled the Florida State University Alumni Center Grand Ballroom on Tuesday, April 18 for the Celebration of Graduate Student Excellence. The annual event acknowledges the achievement of graduate students in areas such as leadership, instruction and research. Nancy Marcus, dean of The Graduate School, presided over the awards ceremony. 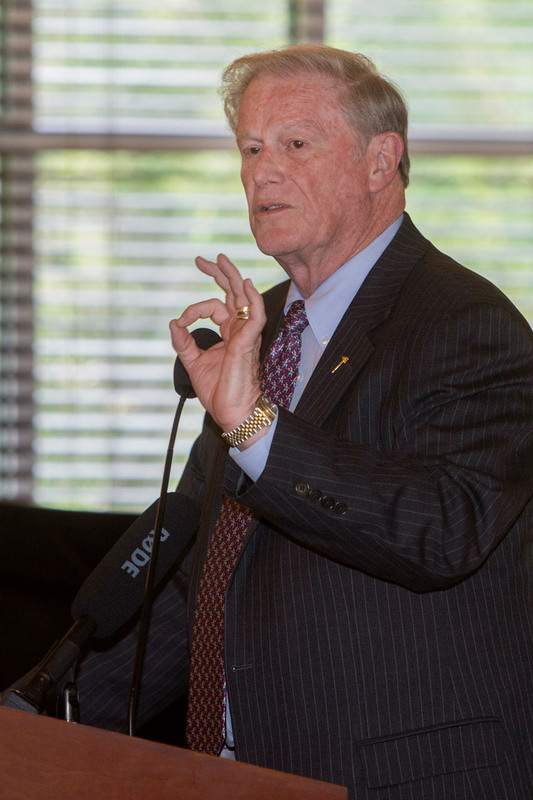 President John Thrasher provided opening remarks and greeted each awardee throughout the ceremony. Debra Ann Fadool, associate dean and director of Postdoctoral Affairs at Florida State, delivered the plenary address. Dean Marcus presented the Outstanding Teaching Assistant awards reading a snippet of the nominations from the undergraduate students the awardees instructed. Brandon Brice is pursuing a doctorate in economics and serves as a graduate teaching assistant for the department. He received an Outstanding Teaching Assistant award as well as the John F. Liseno Graduate award. The nominating student had this to say about Brice’s teaching style. 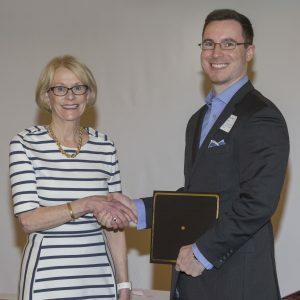 Judith Devine, senior associate dean of The Graduate School presents Brandon Brice with his award. Another student, Lacey Ritter was recognized for her work with the Program for Instructional Excellence (PIE) as a teaching associate in the Department of Sociology. Students who received external grants and fellowships were also recognized. In addition, graduate faculty mentors were honored for their hard work and dedication to the graduate students at the university.